Hopefully most of you know what Skullgirls is. For those of you who don’t know, Skullgirls is an American developed fighting game created by Mike Zaimont and his team at Lab Zero Games. It’s a traditional fighting game that makes use of, EXTREMELY detailed and beautiful, hand drawn 2D sprites and it played in a manner similar to the Versus Capcom series. It’s a pretty popular fighting game that got featured on Evolution Fighting Championship’s mainstage a few years back, and to this day still has regular tournaments. Earlier this year, the game was officially “completed” having its full roster of characters released and received an updated release entitled: Skullgirls 2nd Encore. Now that I’ve introduced Skullgirls, let’s talk about Indivisible. 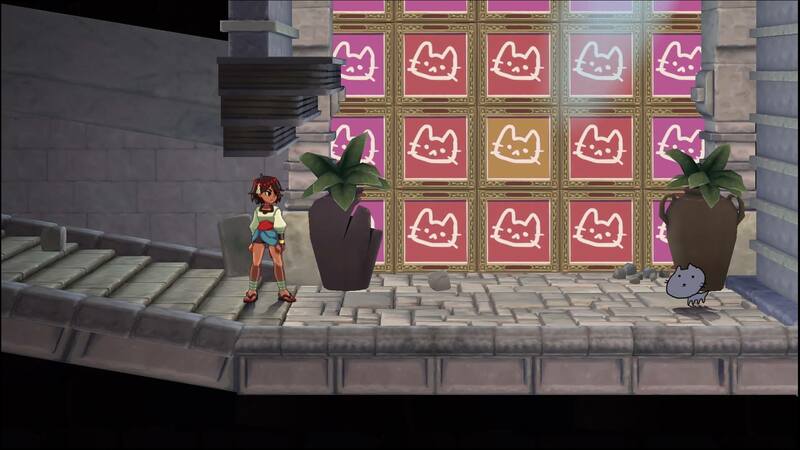 Indivisible is Lab Zero Games’s follow-up to the aforementioned Skullgirls. It is an RPG with clear influences from the Valkyrie Profile and Metroid series. Mike Z love his cat. It showed up in Skullgirls, it again showed up in Indivisible. Currently the game is on indiegogo and is currently sitting at $1.012M out of it’s $1.5M goal (this is after, THANKFULLY, receiving a 20 day extension earlier this month). Currently, the game has a Prototype build available to, FREELY, download and play (you don’t even need to back the game to try the Alpha out). So, after having some hands-on time with the prototype, I want to give my thoughts on the game. I don’t know what her pet actually is. The battle system takes direct inspiration from the original Valkyrie Profile. You control 4 characters on screen which are each assigned to a designated button on the control pad, and each character has a set number of attacks that they can perform (which eventually increase after a specific amount of battles) every time their designated button is pressed. As for the gameplay outside of battle, it follows a similar structure to a Metroid or Igavania game. 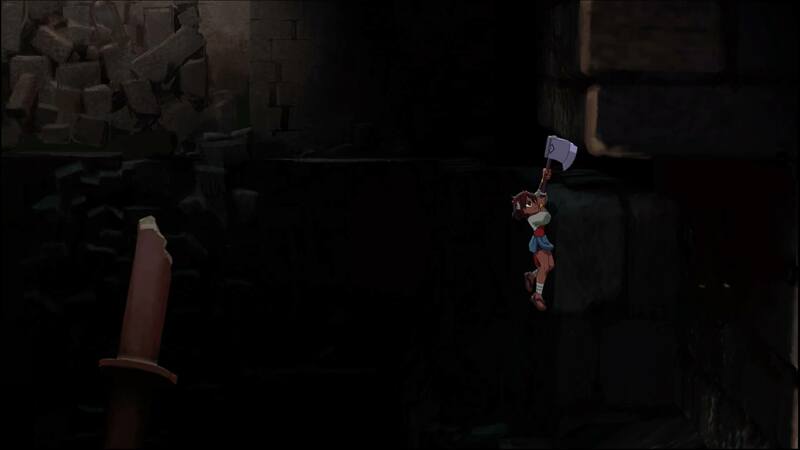 The game requires the player to traverse several platforming puzzles to get through the ruins. That, and several areas can be accessed by collecting power-ups, much like a Metroid game. Hell, at the end of the demo (after beating the boss at the end), there’s an optional platforming challenge the player can do, which is SO HARD that I was stuck on it for 2 hours. Completing this challenge allows you to backtrack through the ruins to find and fight an optional boss. 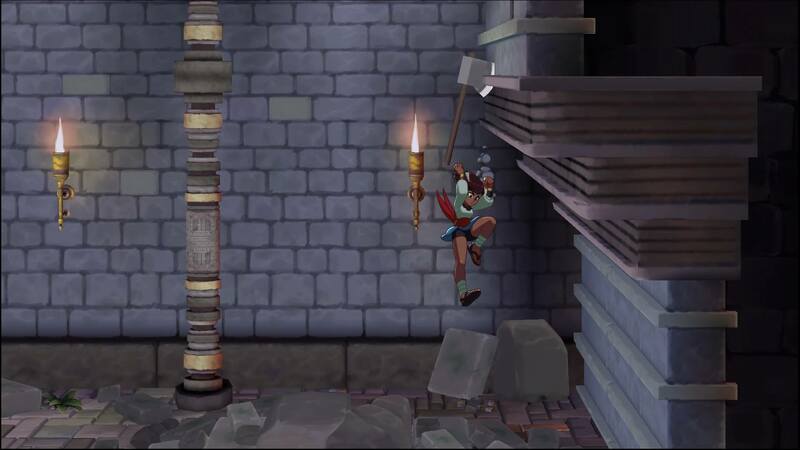 Part of the aforementioned platforming challenge. Notice the scratches on the wall. Again great design, it indicates to the player: YO AXE HERE. 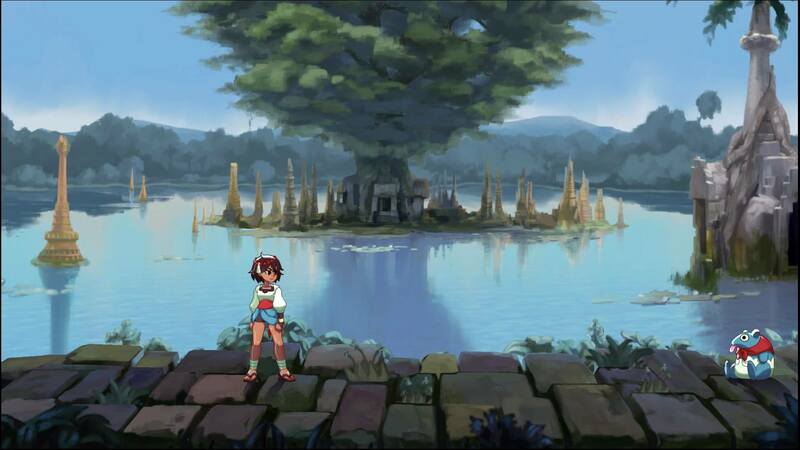 So there’s my brief run-through of the Indivisible prototype. You can learn more about the game, and download the prototype (which is also available on PSN, and I THINK the Xbox Marketplace) here. If you like the game. please support it. I thoroughly enjoyed the alpha and am of the opinion that this game NEEDS to exist. It would be great travesty if this were to not get made.